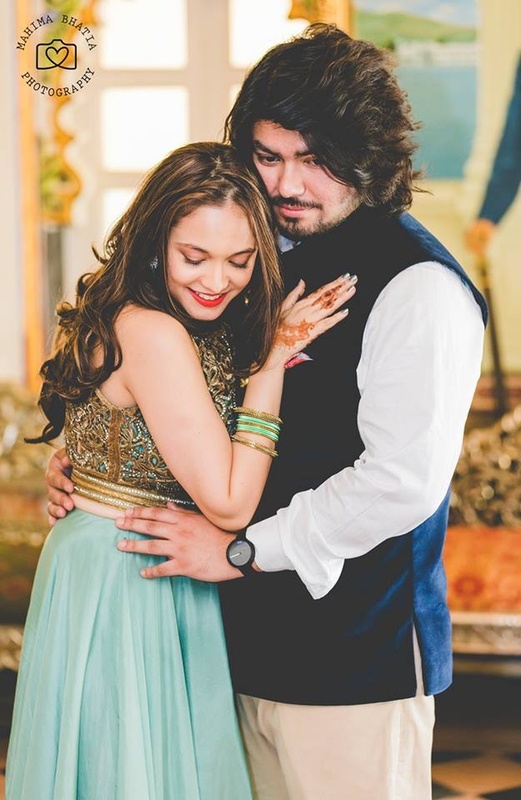 The entire event comprised of a lot of dancing, fun-filled moments and buckets of love. 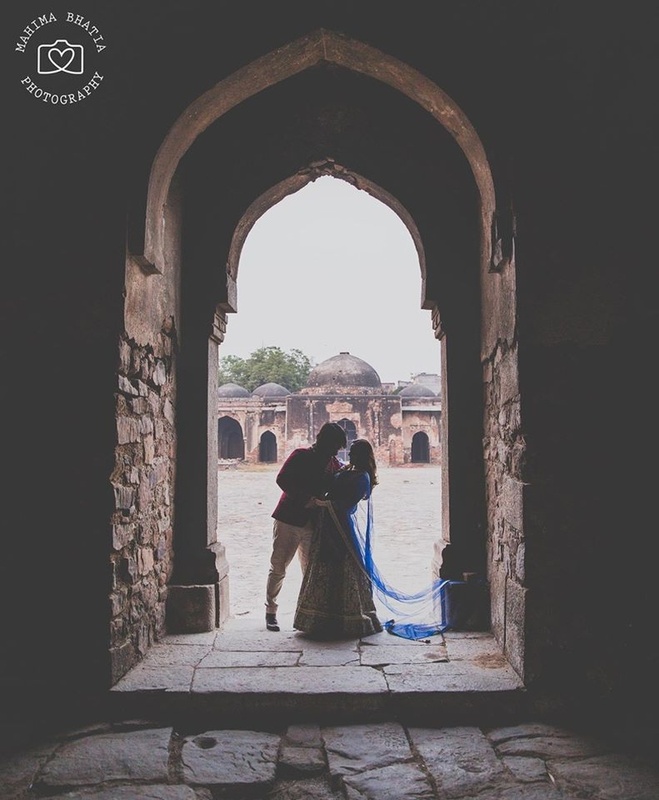 Kriti and Rohan’s entire wedding was truly exquisite. 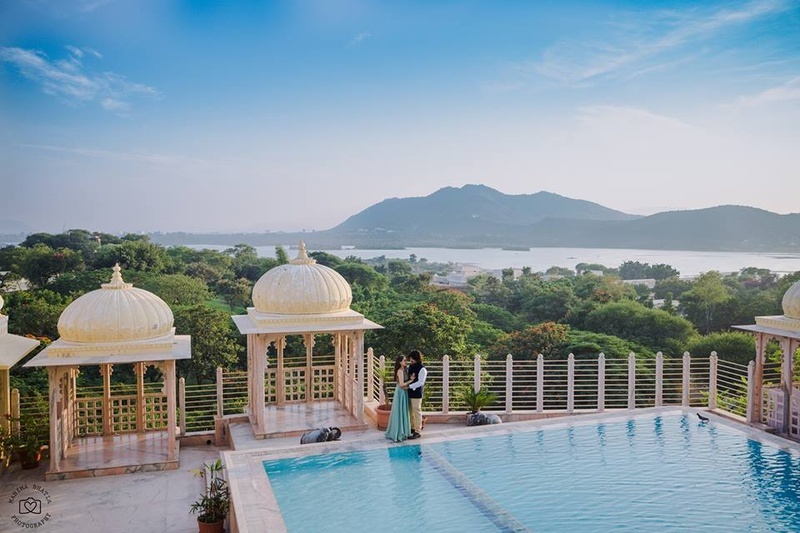 The pre-wedding shoot, shot by Mahima Bhatia at Chunda Palace, Udaipur, just about took our breaths away with how perfectly captured every single click was. 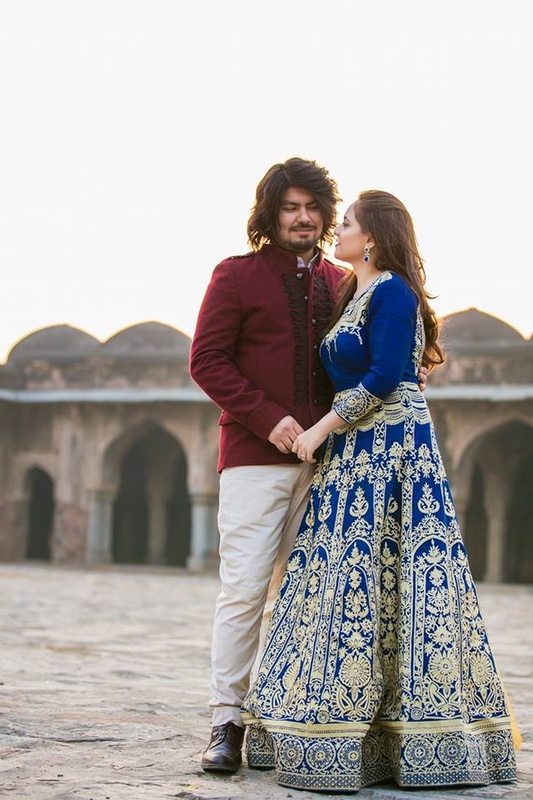 In the first set of clicks, the gorgeous Kriti donned a sky blue, casual lehenga while Rohan wore beige trousers and a white shirt under a deep blue jacket. 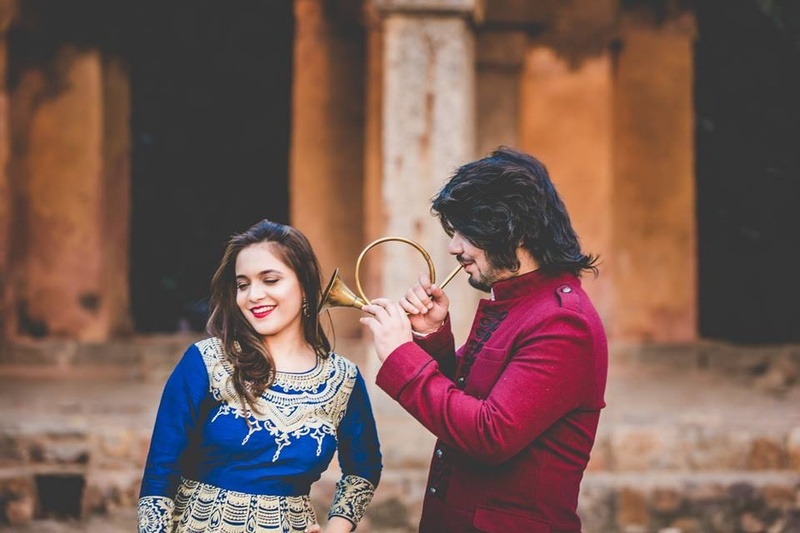 For the second set, Kriti changed into a stunning royal blue and gold ensemble and Rohan kept it classy in a deep red jacket. We especially loved how every element seemed to blend with each other as if it all simply belonged there, creating a picture-perfect scene. 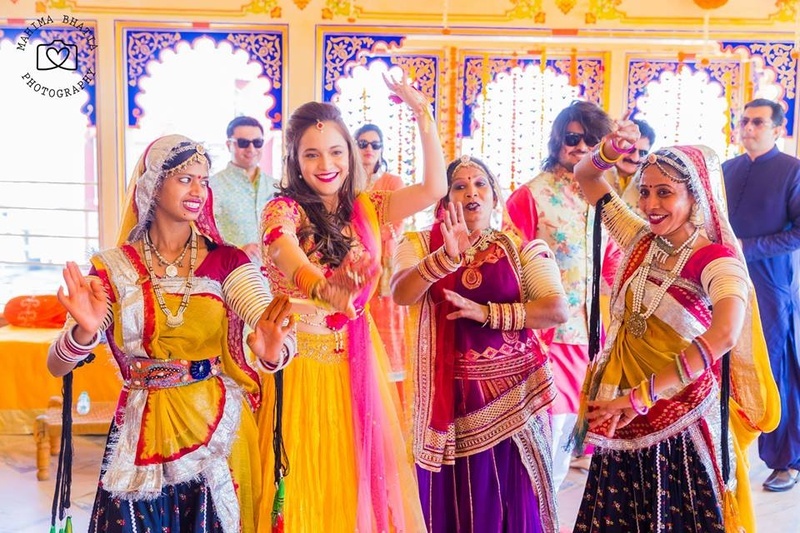 The Mehndi function saw Kriti in a yellow and pink lehenga with gold embroidery. 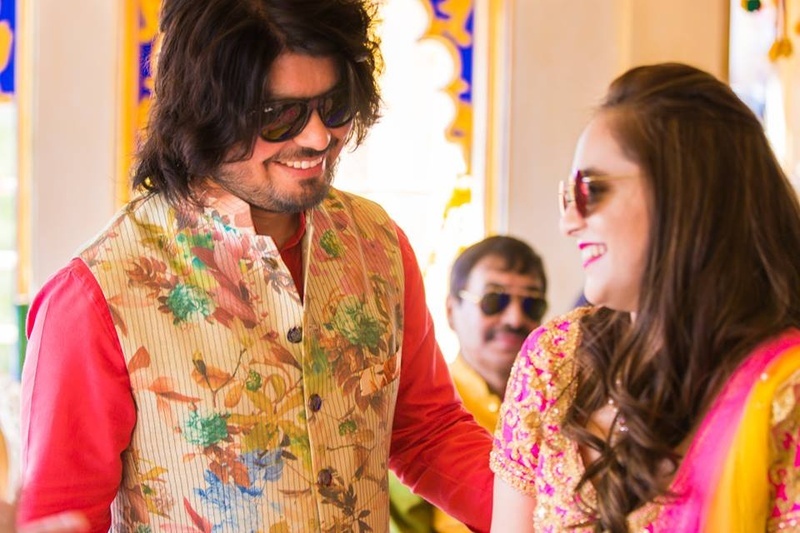 Our dapper groom complimented his bride-to-be in a pink kurta and a floral jacket. 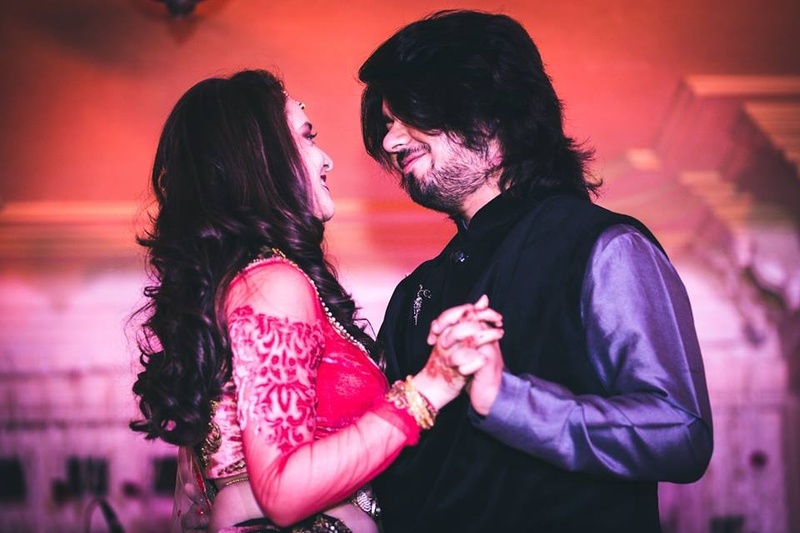 The entire event comprised of a lot of dancing, fun-filled moments and buckets of love. 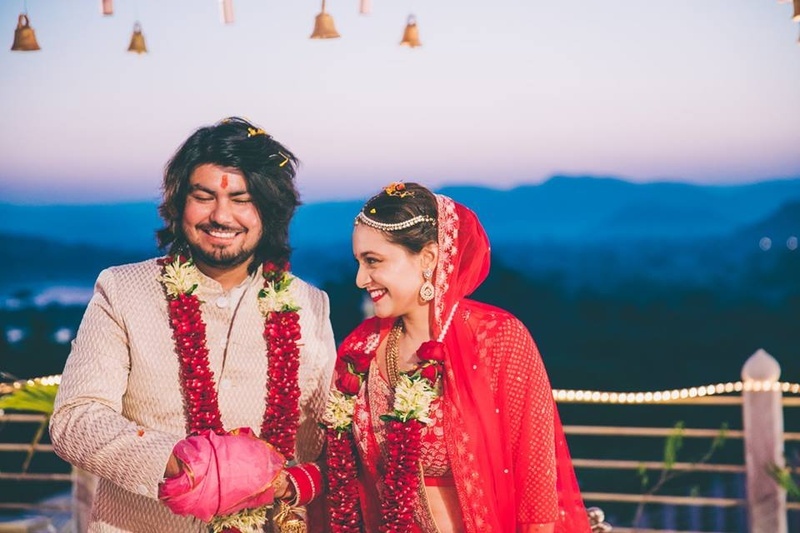 The wedding day dawned and our man Rohan graced the event in a crisp, minimal and tailored ensemble while Kriti added all the drama in her resplendent red lehenga. 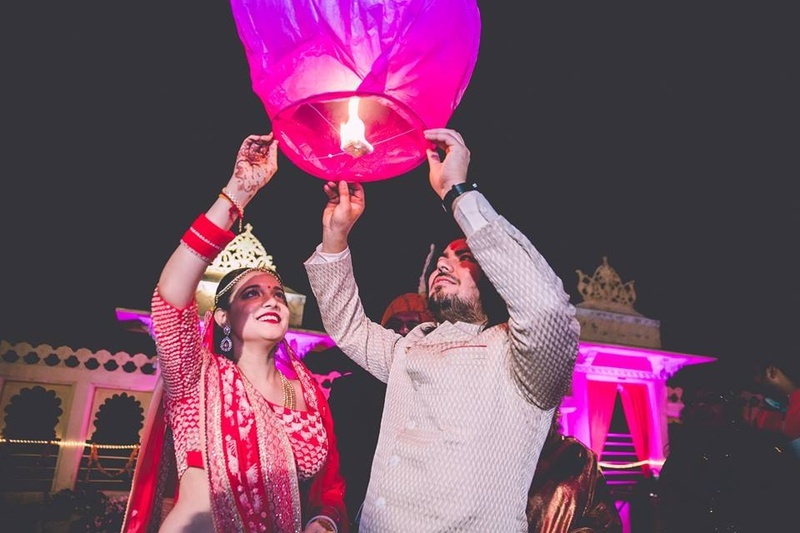 The day came to a close after the couple let loose sky lanterns to commemorate the conclusion of all the ceremonies and the start of a new life. 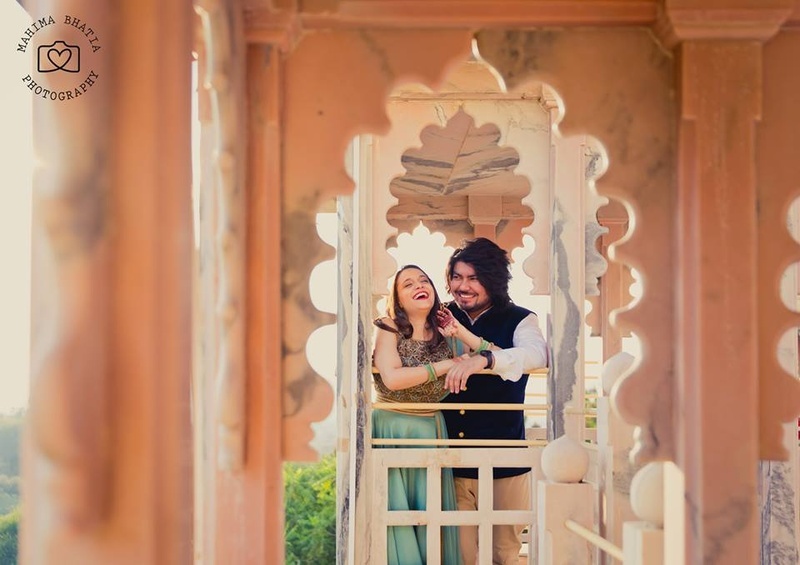 Beautiful palace pre wedding shoot by Mahima Bhatia photography. 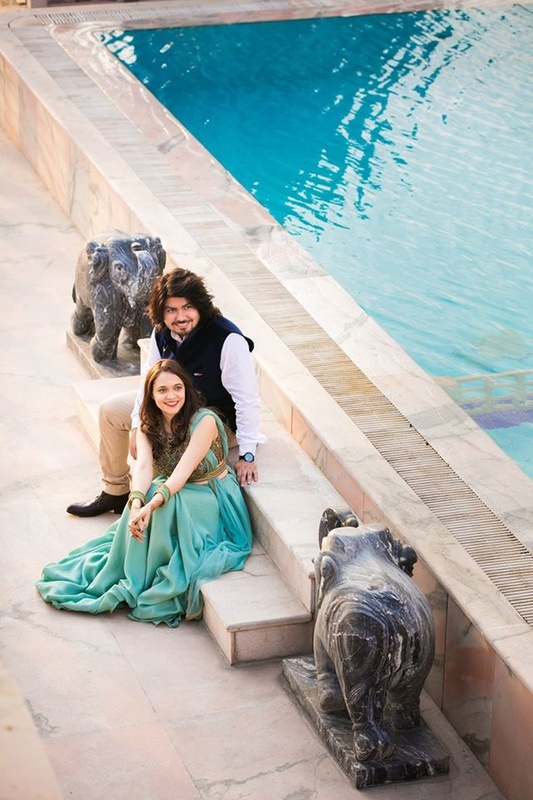 Palace pre wedding photoshoot by ace photographers- Mahima bhatia photography. 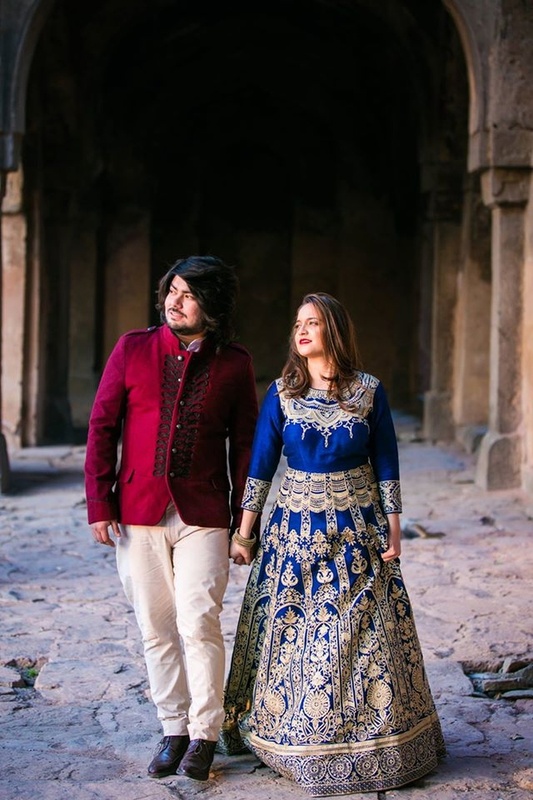 Complementing each other with these perfect pre wedding outfits! 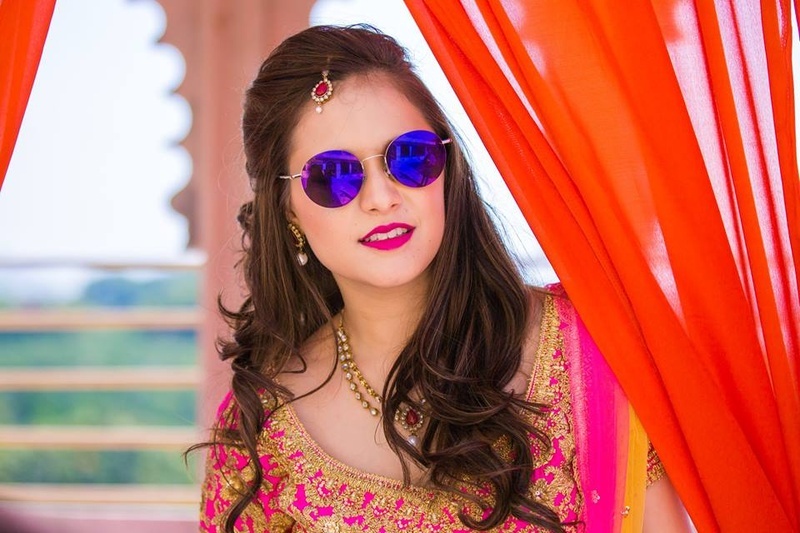 Kriti wearing sky blue skirt with gold zari work blouse and sky blue dupatta for her pre wedding shoot. 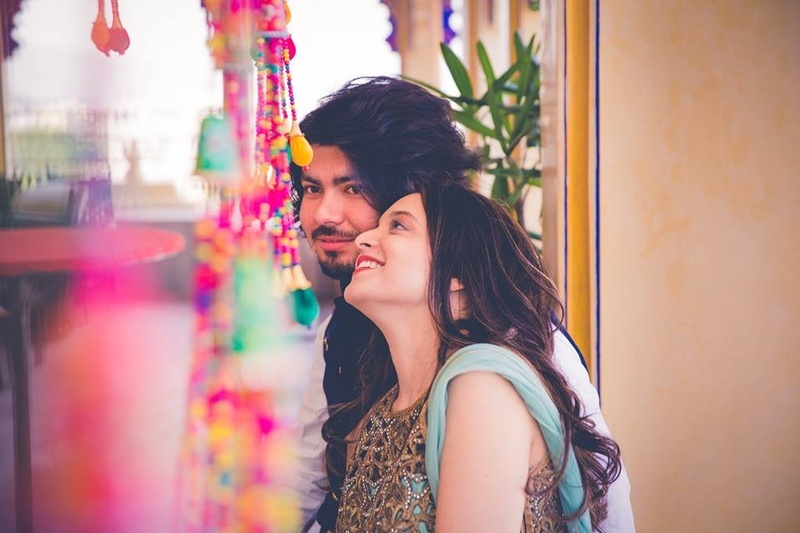 Candid pre wedding photography by Mahima Bhatia. 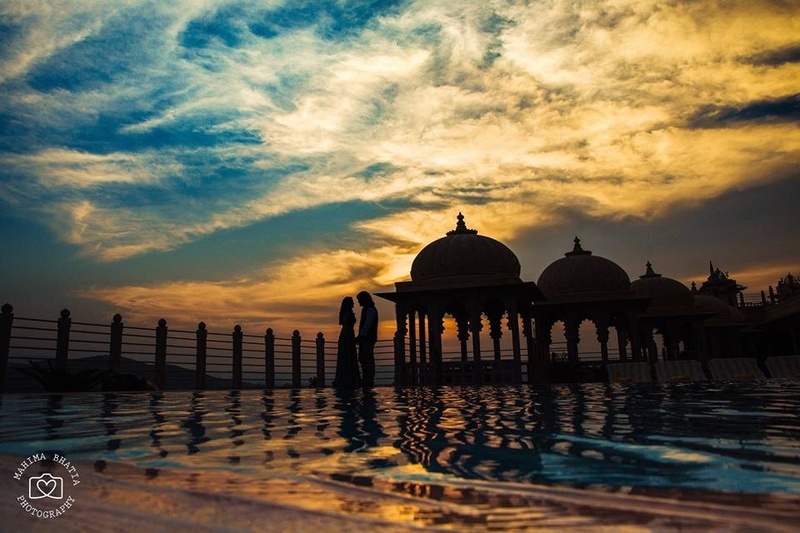 Sunset silhouette photography by ace photographer Mahima Bhatia. 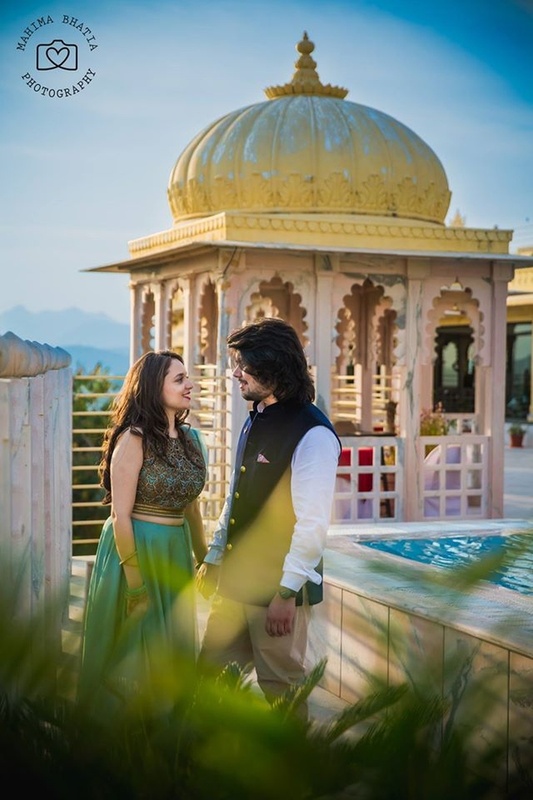 Complementing each other with their pre wedding outfits. 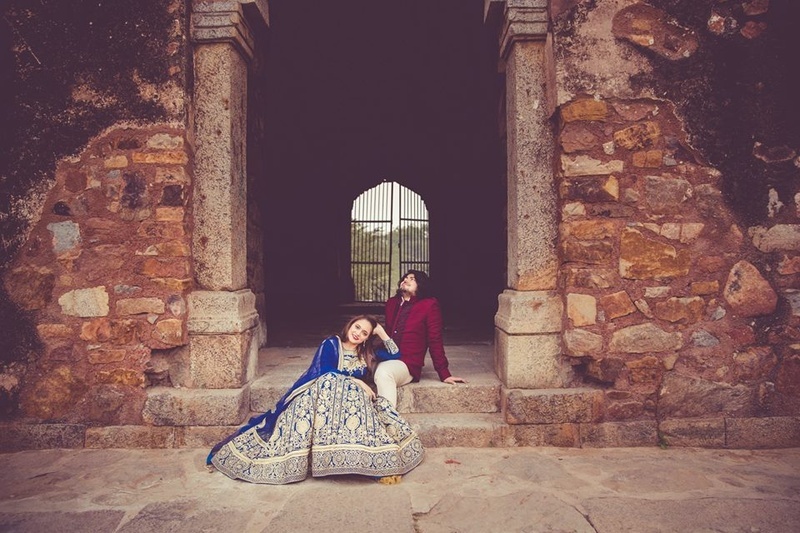 Kriti in royal blue, white embroidered, anarkali and Rohan in maroon bandhgala and white pants. 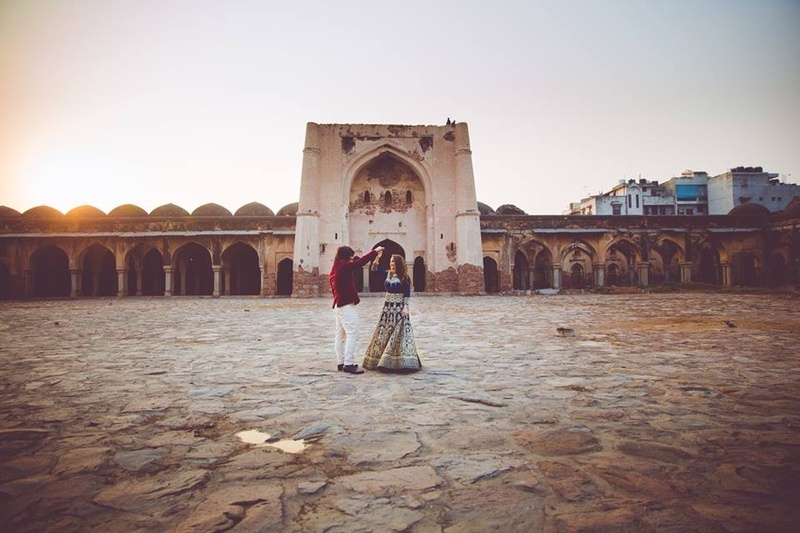 Cute pre wedding shoot ideas. 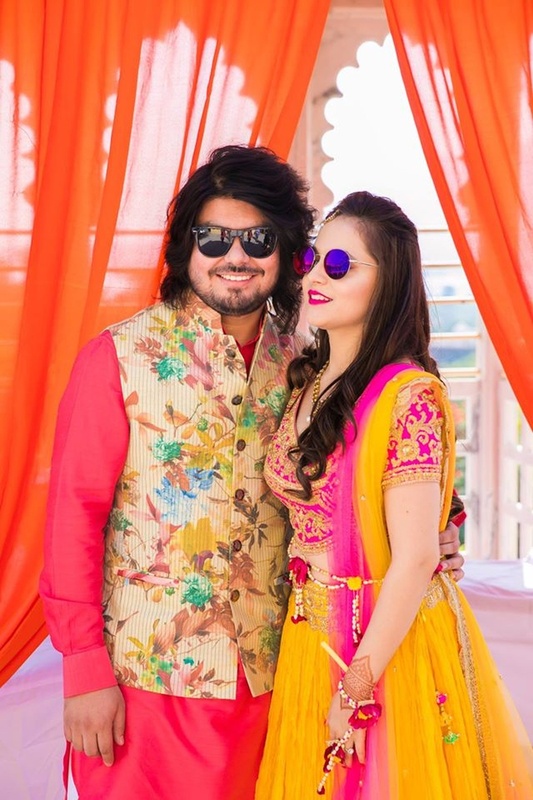 Complementing each other with these beautiful color coordinated outfits for their mehendi ceremony. 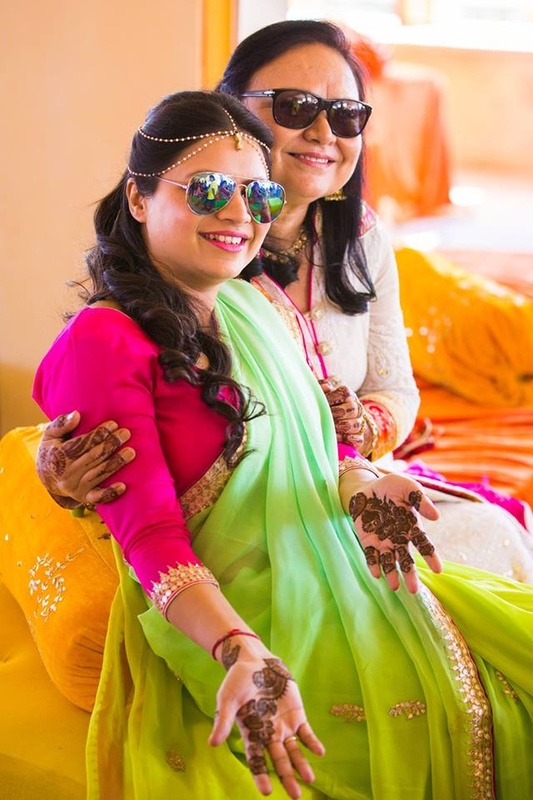 Kriti's minimal makeup and minimal jewellery is perfect for this beautiful day-time mehendi ceremony held at Chunda palace. 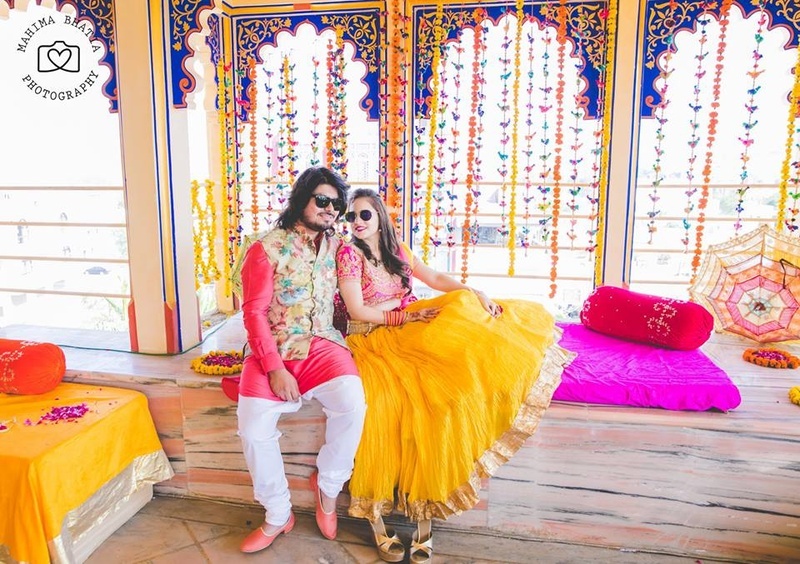 Kriti in yellow and pink lehenga and Rohan complementing her in pink kurta and white pajama styled with colorful floral nehru jacket. 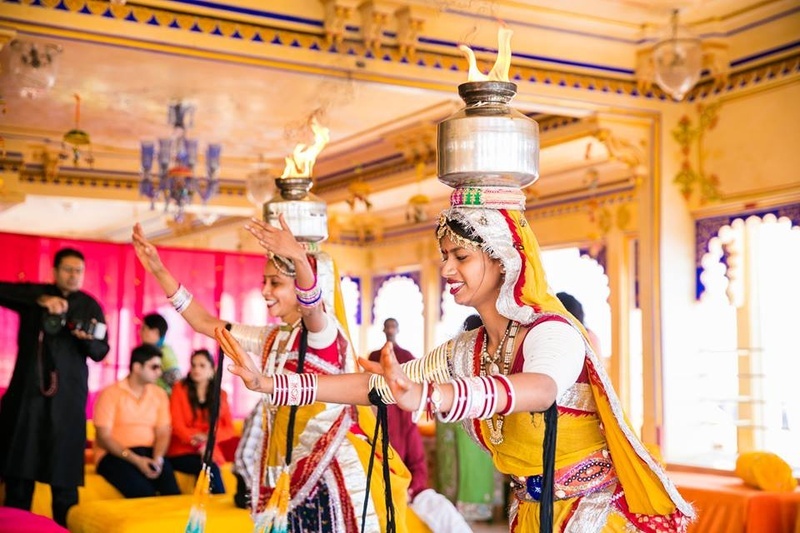 Rajasthani dance performance for the mehendi ceremony held at Chunda palace. 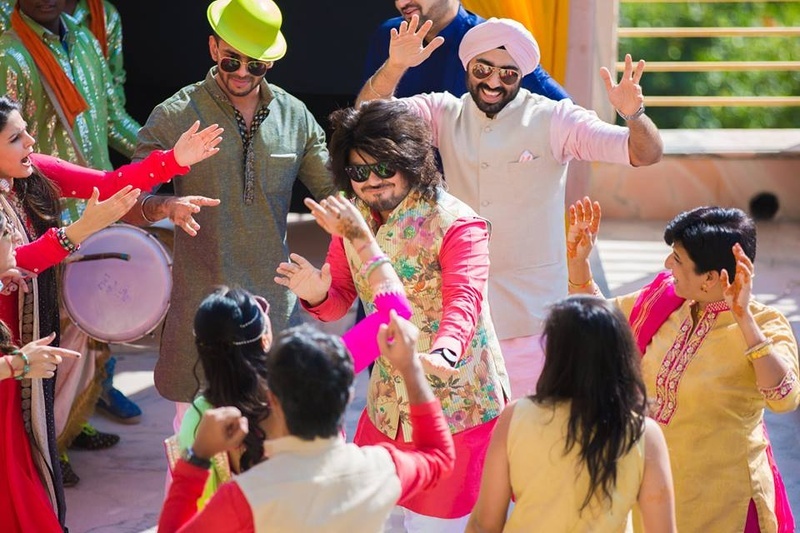 Groom and guests dancing on the beats of Dhol for the mehendi ceremony. 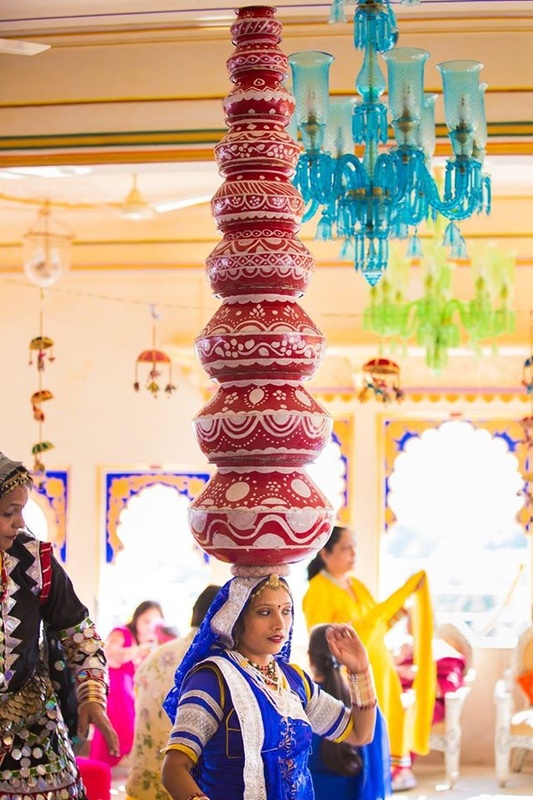 Rajasthani dancers performing at Mehendi Ceremony. 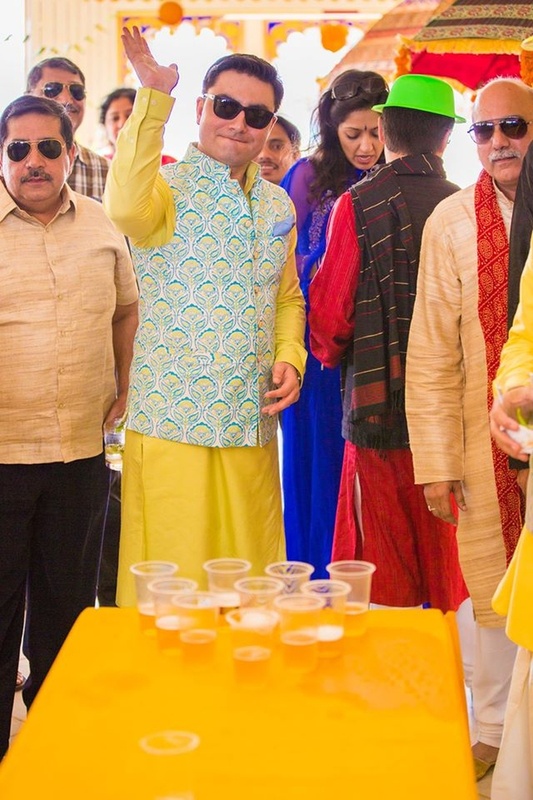 Fun party games for the mehendi ceremony. 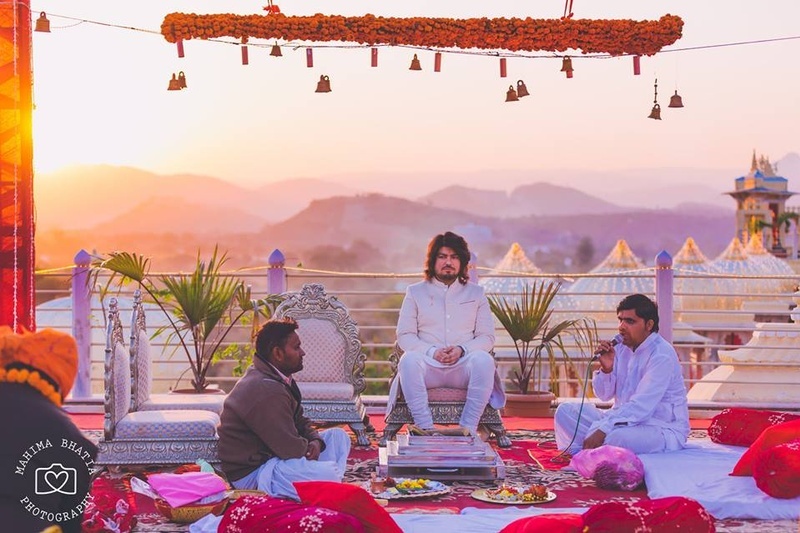 Mehendi Ceremony held at Chunda palace. 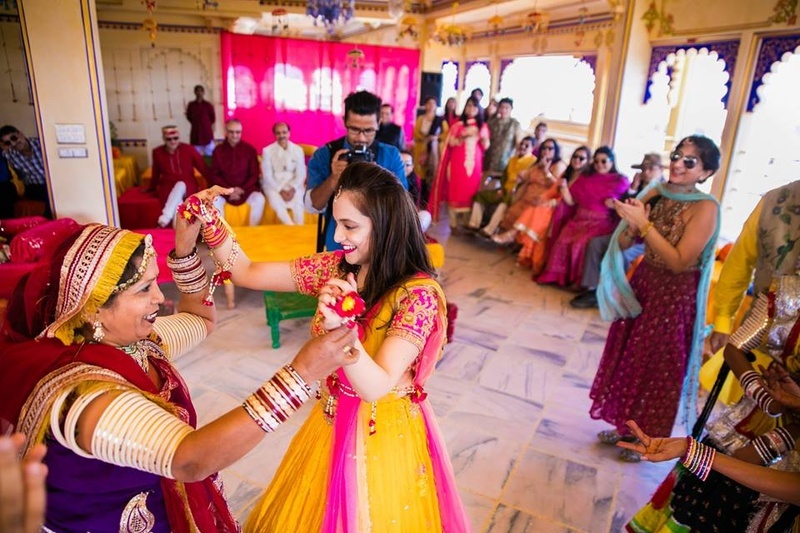 Dance performance by Bride and Groom on their Sangeet ceremony. 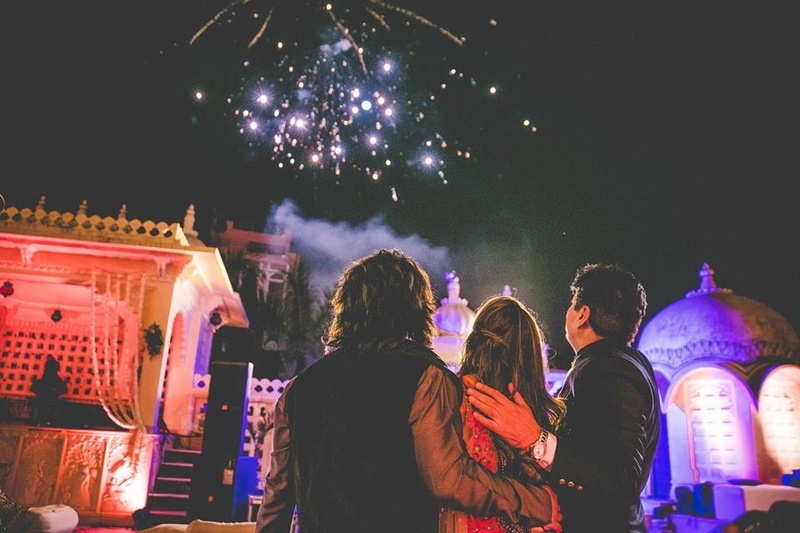 Beautiful fireworks after the Sangeet ceremony. 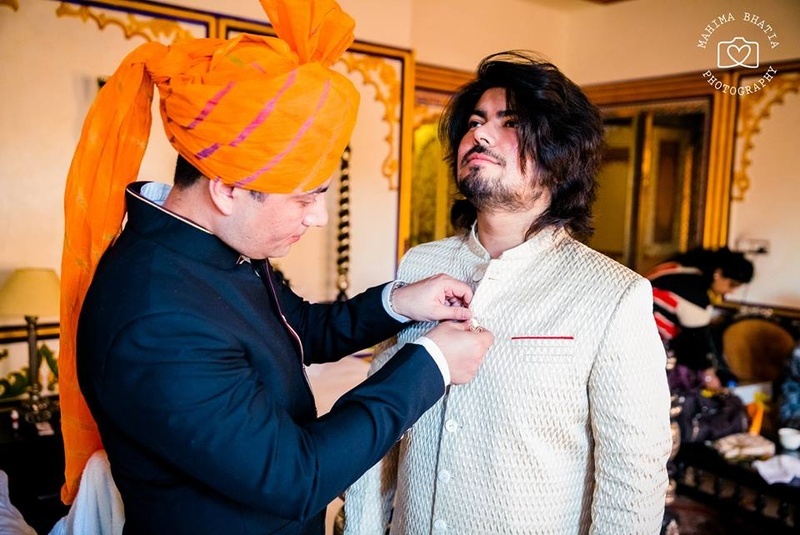 Rohan getting ready for his wedding ceremony held at Chunda palace. 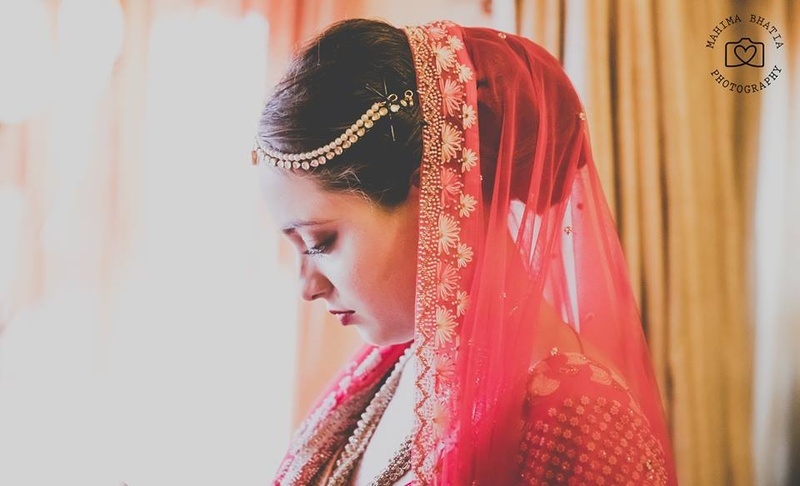 Kriti all ready for her wedding ceremony. 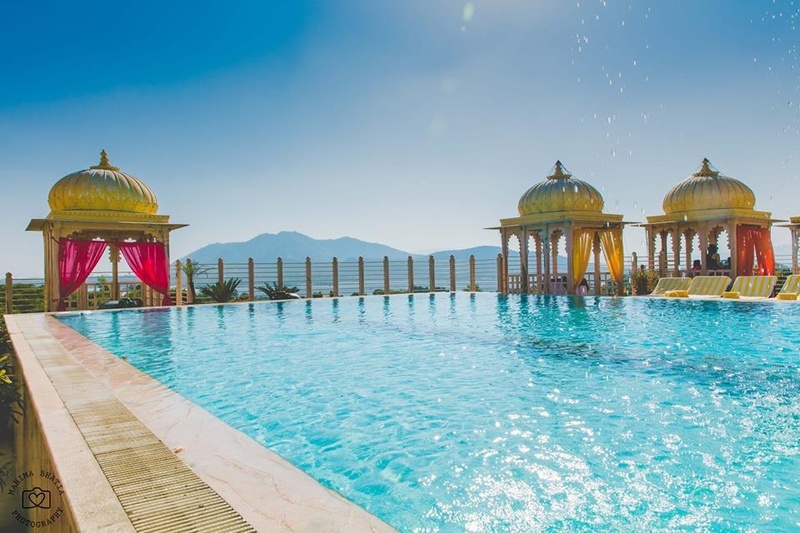 Beautiful mandap setting for a day-time palace wedding held at Chunda palace. 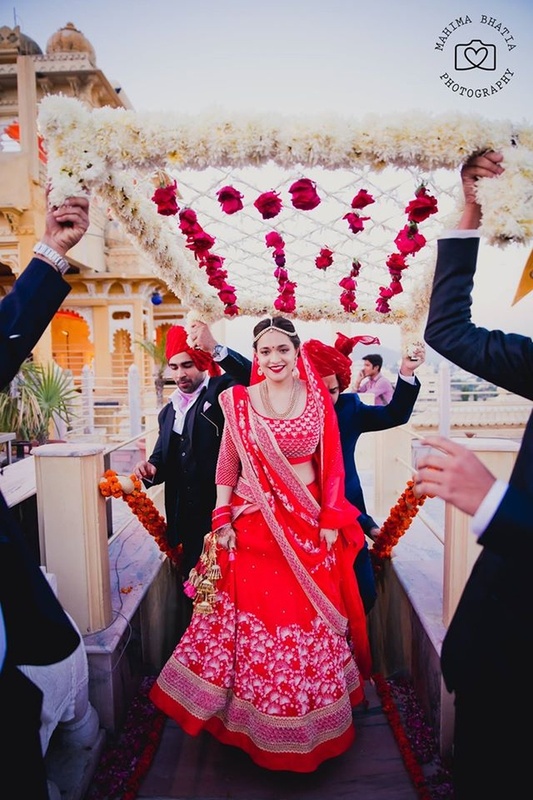 Kriti wearing blood red gotta patti work lehenga for her wedding day. 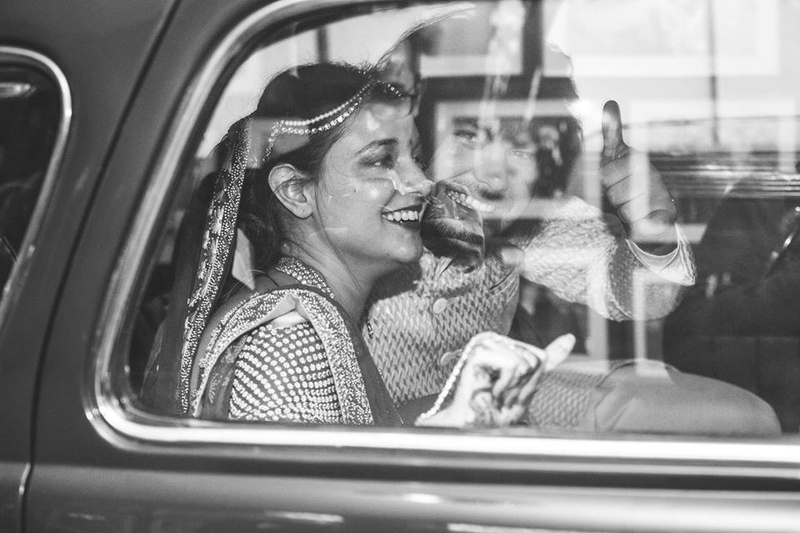 Candid wedding couple shot by Mahima Bhatia photography. 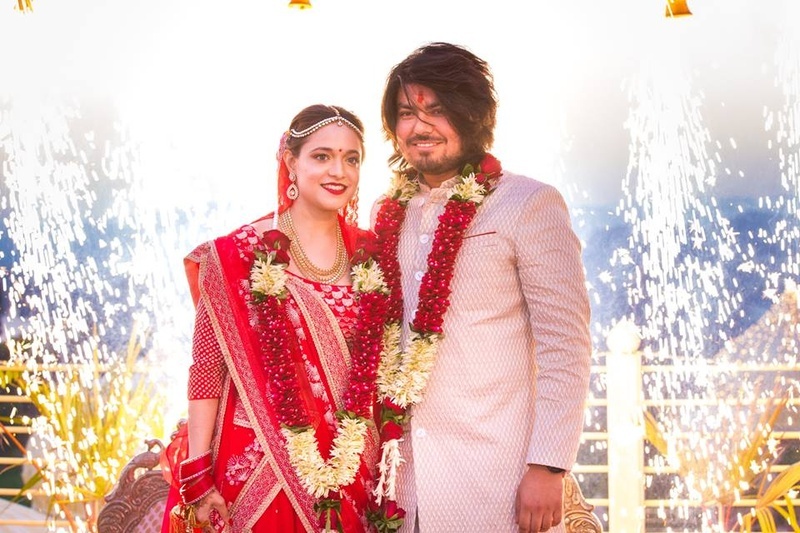 Kriti in red lehenga with minimal bridal jewellery and Rohan in off white bandhgala for their wedding day. Releasing sky lanterns after the wedding ceremony. Black and white vidaai photography. 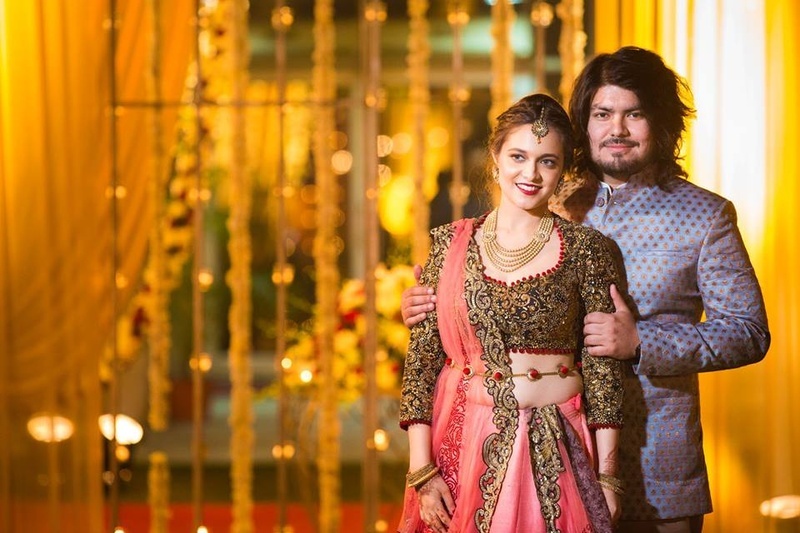 Kriti in peach pink lehenga with heavy zari worked blouse and Rohan in blue bandhgala for their Wedding reception.